At Baby’s Best Sleep, we work together until your sleep goals are met so you can start feeling like yourself again! Welcome to Babys Best Sleep! I started Baby’s Best Sleep in 2017 after completing my maternity leave with my second daughter. Having two children felt so much harder and more challenging than dealing with one–especially when it came to sleep. If I ever had a rough night with my first child, I’d just hop right back into bed when my baby napped and I survived. But with two children, I couldn’t do that anymore. 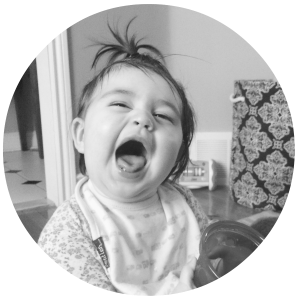 In those early days–with the unavoidable round-the-clock feedings and wakings, and a young toddler–I was a mess. Thankfully, I’m sleep-obsessed and got my baby sleeping soon after but as I continued my maternity leave, I met other new moms in my workout classes, parks and drop-in centres (including complete strangers!) struggle in exhaustion because their babies weren’t sleeping. I knew I could help- so I started studying and became a certified infant and child sleep consultant. Soon after, I became a member of the Associated of Professional Sleep Consultants. I am a sleep expert! I have read EVERYTHING about baby sleep (including all those studies your friends keep referring to) so you don’t have to. I take the guesswork out of what to do next, and I’m literally in your pocket for two weeks (or more as needed) to answer every single sleep question that could possibly arise. We’re partners in sleep and we’ll work to get it right! 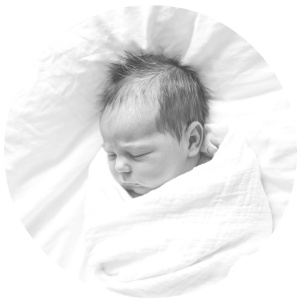 This program is specially tailored for newborns and includes the same gentle and supportive strategies I use to get both of my girls sleeping by 6 weeks. This program is personalized, gentle and tailored to the unique needs of mom and dad, baby and your family. All program options include personalized programs, daily text message support, strategies, and coaching. This age can be challenging because they talk back and reason! This program uses these skills to our advantage that reinforce good behaviours, set boundaries and reward the hard work of the child. 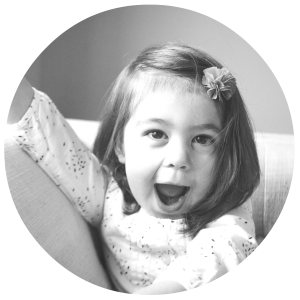 This program is for the parent who has run out of ideas and needs extra support, leaving you feeling empowered and successful in your sleep goals. I work within a parent-centered approach. If parents are feeling supported, nurtured, and respected, so will their baby during our work together. Moms and dads really feel the consequences of sleep deprivation–they need support, reassurance, and guidance through these processes, and I use my experience in counseling and wellness to achieve those goals. Offering sleep help in Toronto, Canada, and all around the world is what brings me the greatest joy, as I love helping families find rest and joy through simple sleep methods. I love and care about babies, but my goal is to get families feeling like themselves again. My experience as an educator has also included several years of counseling support. 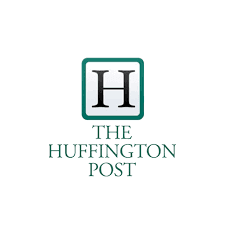 I bring this expertise into my practice and continue to have a special interest in mental health and wellness. I also know that every child is an individual. This means your plan and day-to-day strategies won’t look like your friend’s plan. Her strategies may not work for you and vice versa. Your baby is an individual and his or her needs will be as unique as your child is. I started my working life in the classroom where I soon learned that every child in an individual and every family has their own goals, styles, and ways of life. I bring this compassion and empathy into every single one of my consultations with tired moms. I get to know YOUR family and YOUR needs, and I work with what YOUR family can do. I work with every family until they are sleeping through the night no matter how long it takes. The good news is that 95% of my clients have a sleeping baby in 3 days. What’s more is that I leave you with resources to support your sleep goals in the future. You will leave our time together feeling well equipped to tackle any sleep issue that arises. However, slip-ups happen, so I’m always around for retainer packages or mini-packages down the line. I have an incredibly high referral rate. Why?  My clients love working with me (check out my testimonials here!). This does mean that you may have to wait for a consultation with me, but I promise I’m worth the wait! Click the button below to schedule an appointment today and let’s get started on your Baby’s Best Sleep goals so you all can get the rest you need! Amanda…YOU are so talented and your passion for sleep training shines through. You’ve felt like a girlfriend who’s just giving advice. I have recommended you to so many people!I am so happy that I found you! THANK YOU. You gave us our life back. Seriously mat leave has been so much more enjoyable. I am forever grateful. Need sleep tips now? Sign up here and I’ll send you my top 5 tips to use tonight! 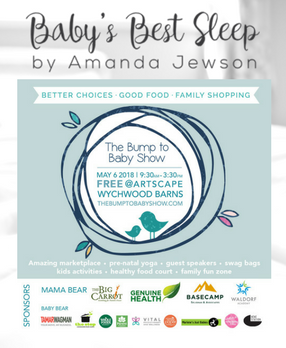 Head on over to Wychwood Barns for The Bump to Baby Show! A first for me: MY FIRST BABY SHOW. It’s happening y’all. I can’t wait to attend the very free, very current, very modern-healthy-mom friendly baby show. I couldn’t be more excited to be having my first show with The Bump to Baby Show! Come talk with me and get $50 off any package and some useful baby sleep swag to take home! 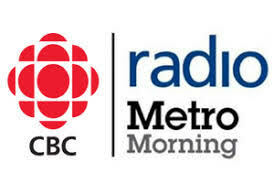 I’m moving up North for the always beautiful Mommunity Market at Vellore Villages in Woodbridge. I can’t wait to meet up with the Mommunity Community! If you’re in Woodbridge next week, come say hi! 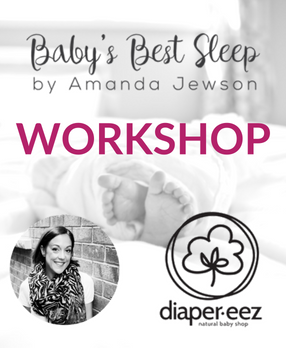 Come learn baby sleep basics and my top tips on helping baby sleep. All participants will receive $50 off any package, free resources to take home, and a Q&A period at the end of the workshop!